With such a long-running and beloved series like Sailor Moon, it’s easy to overlook some of the more basic details of the series as obvious and just part of “the way things are,” but when you actually stop and take a close look, you can’t help but wonder why that’s how things turned out. The fact that there were originally five members of the Sailor Team, for example, is one of those. 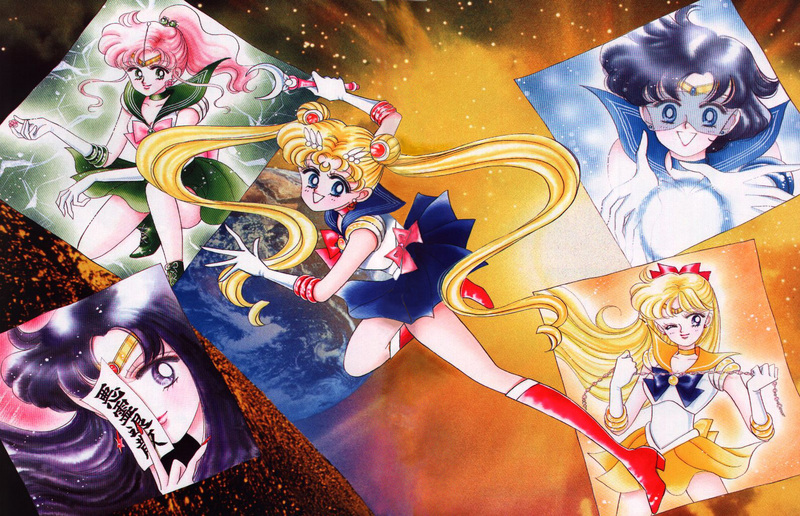 Often referred to as the “Inner Senshi,” the original five sailor-suited beauties making up the core team are simply seen as the staple of the series, but when you actually stop and think about it, things don’t quite add up. Though there’s been no direct word from Ms. Takeuchi on this issue, there’s a surprising amount of tradition in Japanese TV, manga, and traditional theater culture as well which supports this five member team, so let’s see if we can make some sense of it! 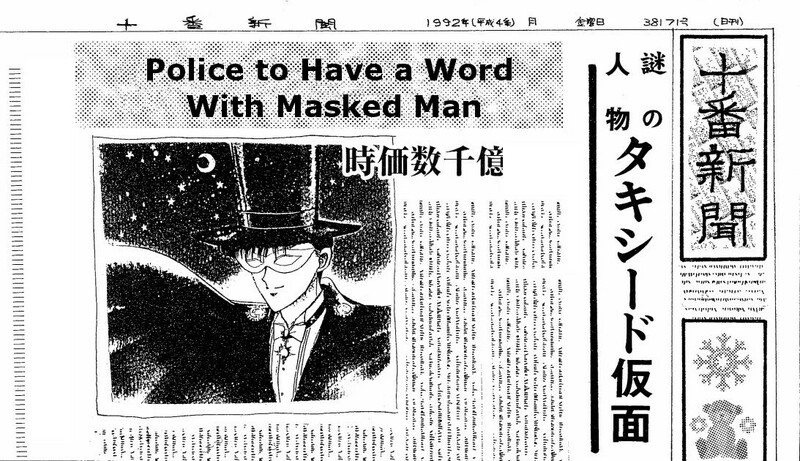 Or, a better (though not as easy-to-read) title would be “What are the Legal Implications for the Relationship Between Mamoru and Usagi in the Anime?” However, I think we’ll need to give up a little bit of clarity in the question here for ease of reading. Please forgive the ambiguity. This is, however, an interesting and important question when you actually stop and think about the ages of the characters involved. 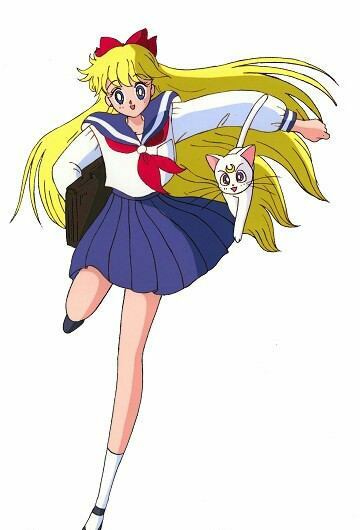 Usagi is, in both the manga and the anime, 14 years old and a second-year junior high school student. Mamoru, on the other hand, ranges between him being 16 at the start of the manga1 to 18 at the start of the anime.2 Though at first glance, this two-year age difference doesn’t seem to matter much or have many implications, it actually has huge implications legally, especially when you consider the difference between a 14 and a 16 year old dating and a 14 year old dating an 18 year old man. I’d say it’s safe to put the manga aside, then, and to say that there are no real implications there. A two year age difference is pretty minor anyway, and since they’re both minors, it’s no big issue. Now for the anime, there are some issues which come into play due to Mamoru being older than 18. While the age of majority in Japan is 20,3 local and national laws protecting children (and the ones which would also consider any conduct between Usagi and Mamoru between minors) cut off at 18 and the Juvenile Act (which prevents the conviction of minors under the normal laws for criminal acts) has been modified to allow for criminal trials as young as 16. A person who, through assault or intimidation, forcibly commits an indecent act upon a male or female of not less than thirteen years of age shall be punished by imprisonment with work for not less than 6 months but not more than 10 years. So we’re okay then! Nothing indecent going on between the two of them, right? Well, yes and no. Episode 22 mucks things up a bit, actually. Now I know people are throwing down their pens here and saying that I’m being overly pedantic and that Usagi and Mamoru are deeply in love and that no one in their right mind would call this a crime. And you know, you’re absolutely right! I totally agree with you. The good news is that the Japanese laws actually agree with you (and me!) too. The crimes prescribed for in Articles 176 through Article 178 and attempts of the above-mentioned crimes shall be prosecuted only upon complaint. 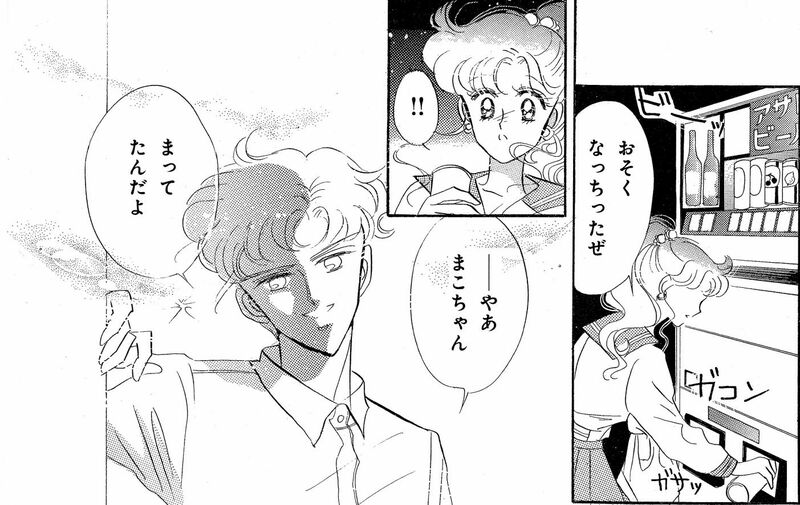 Absent a complaint by Usagi – which, as we established, wouldn’t happen as she was consenting and loves Mamoru – there’s no illegal conduct here. So for once, common sense actually wins in a discussion about the law and human interactions! In short, though their relationship is on shakier ground in the anime than in the manga, their relationship is totally fine as long as the law is concerned. 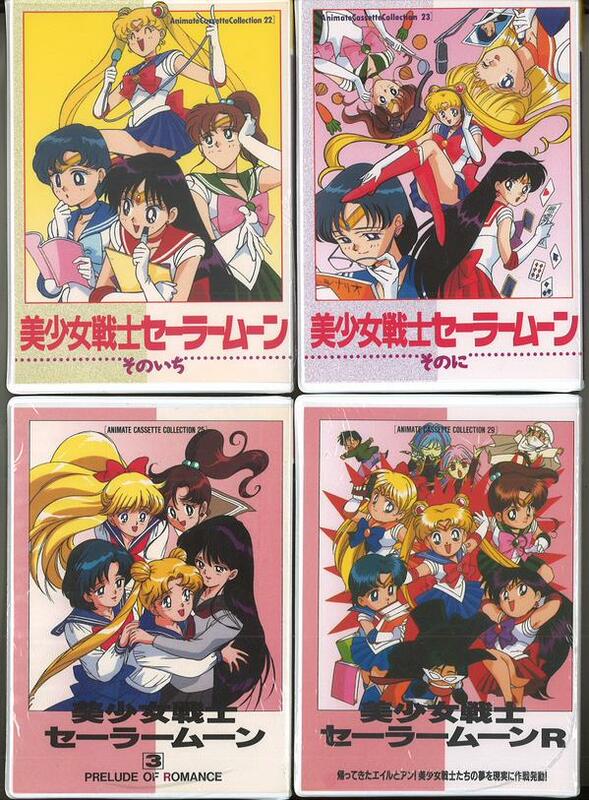 One of the first things anyone with even a passing interest in learning Japanese will notice is that the names of all of the (inner) Sailor Soldiers is that their names follow a pretty noticeable pattern. Even if you haven’t studied Japanese, you’ve likely read about their names and explanations thereof in countless numbers of profiles online. For the sake of a quick summary, the Japanese no (の) serves as a possessive and can mean something similar to “of” or signify ownership, much like ” ‘s ” in English. In this way, the last name of each of the characters makes a nice wordplay which signifies not only elemental affinity, but the celestial object they’re tied to. Though the English names for the planets are gaining traction in recent years, traditionally the other inner planets (excluding Earth) and Jupiter have been referred to by elements, which ties back into the elemental affinities of the inner soldiers. 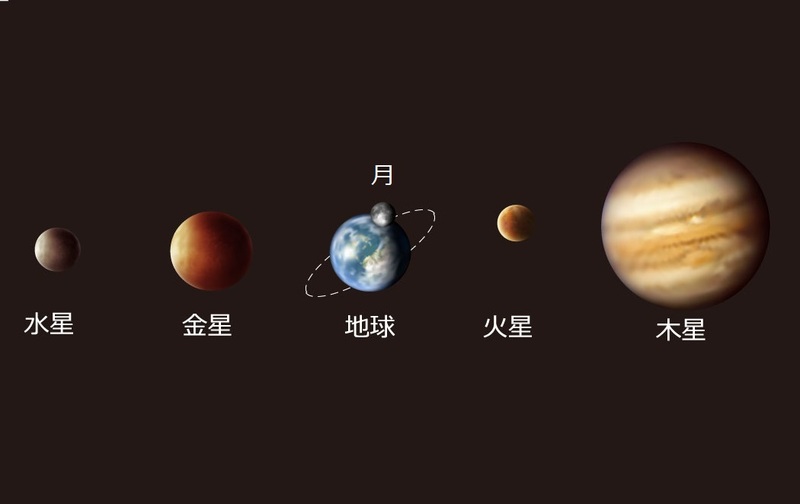 Here you can see the Japanese names of the planets: Mercury (水星; suisei – water planet), Venus (金星; kinsei – metal planet), Earth (地球; chikyuu – earth globe), the Moon (月; tsuki – Moon), Mars (火星; kasei – fire planet), and Jupiter (木星; mokusei – wood planet). The same characters are found in the name of the Sailor Soldiers: 月野うさぎ (Tsukino, Usagi – Usagi/Rabbit of the Moon), 地場衛 (Chiba, Mamoru – Mamoru/Protector of the Earth), 水野亜美 (Mizuno, Ami – Ami of the Water), 火野レイ (Hino, Rei – Rei of the Fire), 木野まこと (Kino, Makoto – Makoto of Wood), and 愛野美奈子 (Aino, Minako – Minako of… Love). As you can see, Minako breaks out of this system in a pretty dramatic way and leaves us with the question of just why is it that Ms. Takeuchi decided to not follow the pattern with her in the first place. 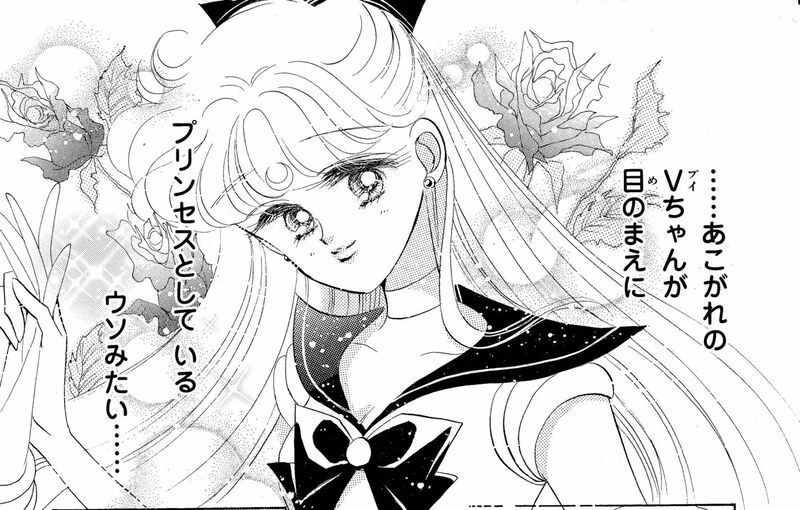 The easiest answer, of course, is simply that Minako came first, as we talked about before in her debut in Sailor V, approximately half a year prior to her appearance in the Sailor Moon manga. Minako is the self-proclaimed Sailor Soldier of love and beauty, so it only makes sense that she has a name that matches, right? Obviously her character being created prior to the rest and before Ms. Takeuchi herself had the naming patter down clearly plays a roll in this, but there are several other reasons which likely played into the decision. 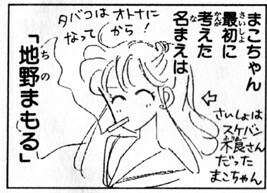 For one, in order to name Minako after the planet Venus (and to conform with the naming system of the rest of the Sailor Soldiers), she would have had to name her 金野美奈子 (Kin’no, Minako). This name unfortunately doesn’t exactly roll off the tongue in Japanese, and obviously is a little too close to comfort with Makoto’s name. 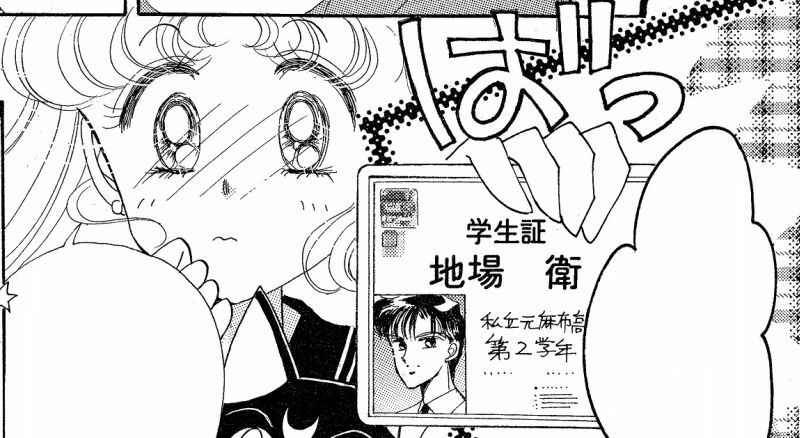 The other reason is that, through a clever play on kanji readings, it turns out that Ms. Takeuchi already did manage to sneak Venus into her name, all without having to bother with using her last name to do it. 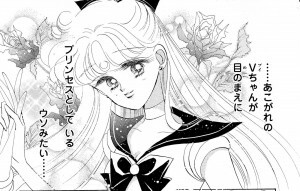 Out of all of the Inner Sailor Soldiers, Makoto is definitely the one who has changed the most from her original inception and her final incarnation in the manga. 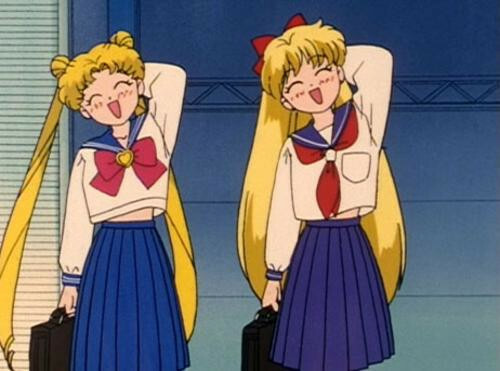 Ami and Rei of course also differed from the original plans written up by Ms. Takeuchi (to say nothing of the differences between manga and anime Rei) – though the differences weren’t quite as dramatic as Makoto – while Minako stayed largely the same, thanks greatly in part to the fact that she starred in her own prequel manga running parallel to the Sailor Moon universe. Wait until you’re an adult before you start smoking! So we can see here that Makoto was originally planned to be something of a juvenile delinquent though, in Ms. Takeuchi’s own words, apparently she had been reformed somewhat. Though, the question is: did Makoto really change all that much from Naoko’s original plan? In addition to the other variations/accessories to the style,4 some of the main hallmarks of the sukeban was the long skirt, the rolled-up sleeves, and the lack of the bow or ribbon that typically accompanied the sailor schoolgirl uniform. All of these, as you may have noticed, are present in Makoto’s character design. Last, but not least, for the evidence toward Makoto still retaining the wild streak Ms. Takeuchi had originally planned for her, is the scene in the manga where Motoki, possessed by a youma, tries to seduce Makoto.5 In the scene, we can see Makoto, alone, going to a vending machine late at night. What’s noteworthy about this scene, however, is the sign at the top of the machine which reads “Asa__ Beer.”6 At the time (and even today), it wasn’t uncommon to find vending machines selling alcohol that anyone could purchase from without supervision or needing to prove your age,7 which it looks like Makoto is doing in this scene. While Makoto may not be – as far as the storyline canon is concerned – a member of a gang, it’s pretty clear that Ms. Takeuchi’s original intentions for the character are that she has some strong anti-social tendencies and, even if not directly involved in gang-like behavior, definitely bears a strong resemblance to the anti-establishment movements at the time. It’s also pretty evident that, though I’m sure she was tamed down a little bit and became even more so as the series progressed, Ms. Takeuchi intended for her to still be something of a troubled and openly defiant young girl. I’d love to see more of her notes on this someday, but for now we have to just make do with what you can see in the manga! Kotono Mitsuishi1 was far from an up-and-comer when she had joined the cast of Sailor Moon to play the lead role — immediately after her graduation from high school in 1986 she joined a voice acting vocational school and got her first voice acting job in 1988 as Tomoyo in the OVA titled Aim for the Ace! 2, based on a manga of the same name.2 Her career really picked up with her taking up the role of Usagi in Sailor Moon, though she continued to play a variety of roles in other anime (including Misato Katsuragi in Neon Genesis Evangelion). 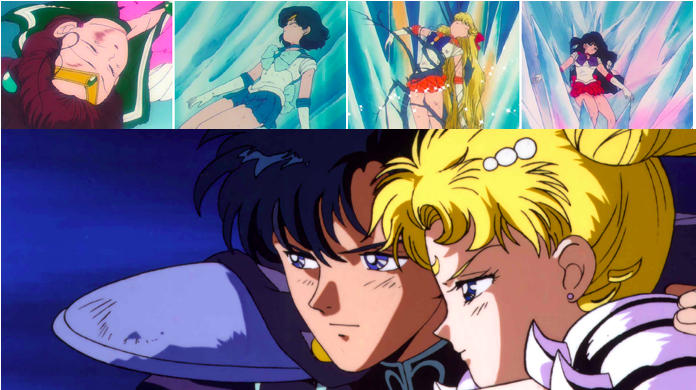 It seems a bit odd, then, that right at the climax of the series — from the awakening of the Princess Serenity, through the fight with Queen Beryl, and into the beginning of the Cardian arc — that the voice of the titular character would suddenly change. 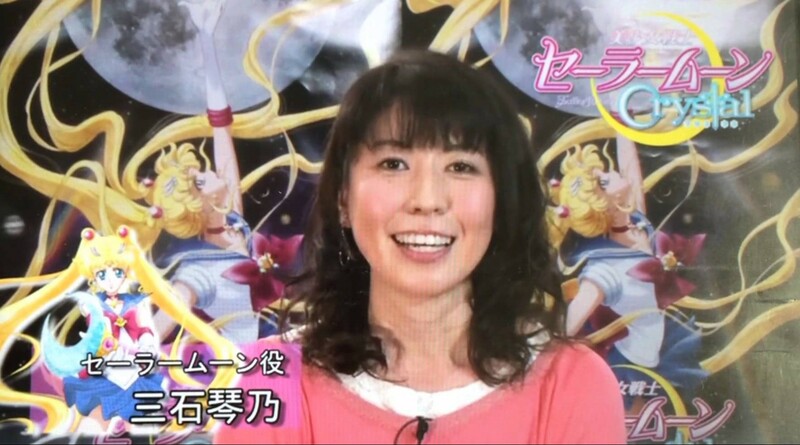 From episodes 44 through 50, Kae Araki3 (who would later go on to play ChibiUsa several episodes later during Sailor Moon R) stood in for Kotono and played the roll admirably, though it obviously stood out in fans minds and, even more notably, it apparently stuck with Kotono herself and is said to be one of her greatest regrets. 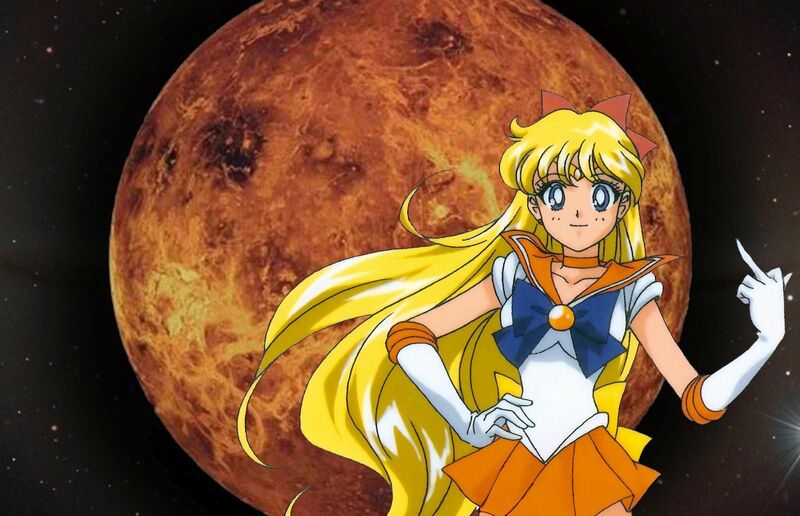 In her essay collection, titled “Moon, Stars, and the Sun” (月　星　太陽),4 she talks frankly about the tough time she had on missing out on episodes 44 through 46 — the conclusion of Sailor Moon — due to being hospitalized. We know that she was hospitalized, but what for? At the time, a public announcement was made (from her agents and voice acting studio, I assume) stating that she had an appendicitis which is why she wouldn’t be able to perform for awhile. The numbers don’t quite add up, though. Typical recovery times for an appendicitis are around two to three weeks5 at maximum, while she was absent for approximately two months. You know, when I was 24, a hole opened up in an “ovarian cyst” and at the same time, I suffered a case of peritonitis, which actually put my life at risk. I had emergency surgery and was hospitalized for a month followed by three months’ bed rest. It was a huge hassle for my family, the staff at work, and everyone else. Even worse, it was just awful for me! It’s not scary if we all go together! Let’s get checked up so we don’t need to worry! GO, GO! So as you can see, the whole situation was actually pretty dangerous which, fortunately, worked out well in the end. But there is a happy ending to this story: it turns out that through the Animate Cassette Collection (audio-only versions of the stories told in the anime, sold exclusively through the Animate store chain), Kotono actually played Usagi for their recording of the final scenes of Sailor Moon.7 One way or another, she was able to take the character through the end of her (first) story!